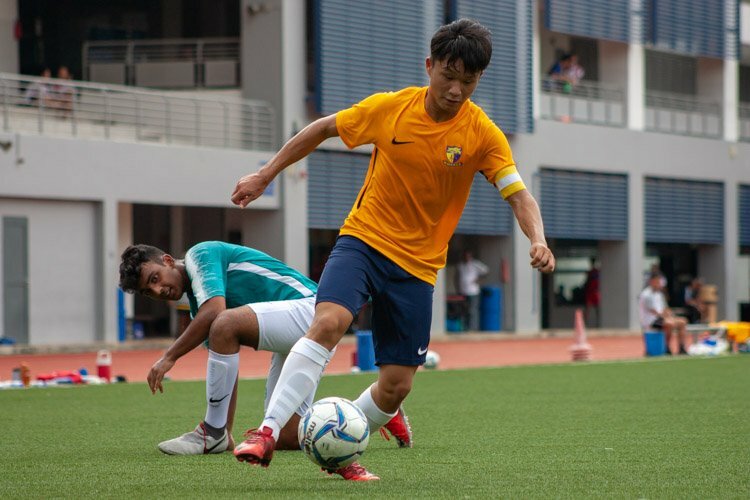 Toa Payoh Stadium, Tuesday, March 27, 2018 — St. Joseph’s Institution (SJI) left it late but eventually completed their comeback win to defend their South Zone C Division Football title with a 3-1 win over Bendemeer Secondary (BDM). 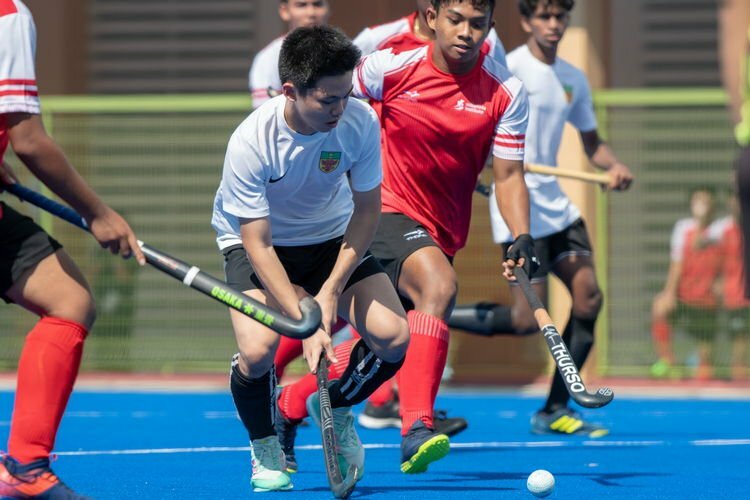 Bendemeer’s Mohammed Hazrin (BDM #15) took the surprise lead through a corner but SJI bounced back following an own goal and two late goals from man-of-the-match Muhammad Naufal (SJI #11). 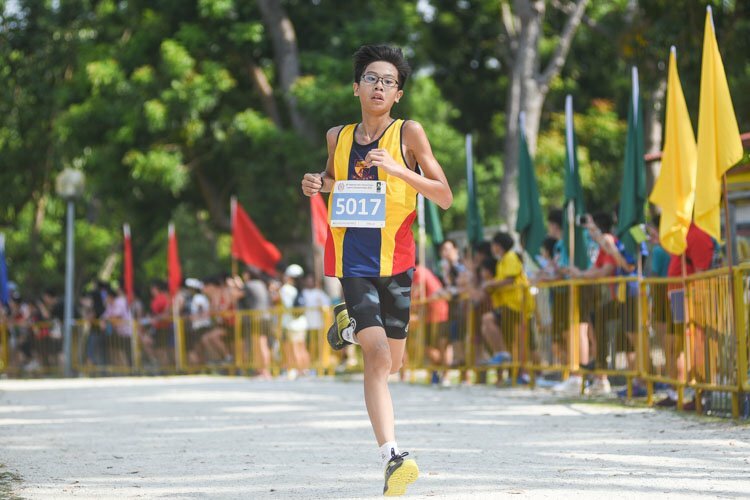 Despite his stellar performance, Naufal was quick to play down the plaudits and commended his teammates’ fighting spirit. 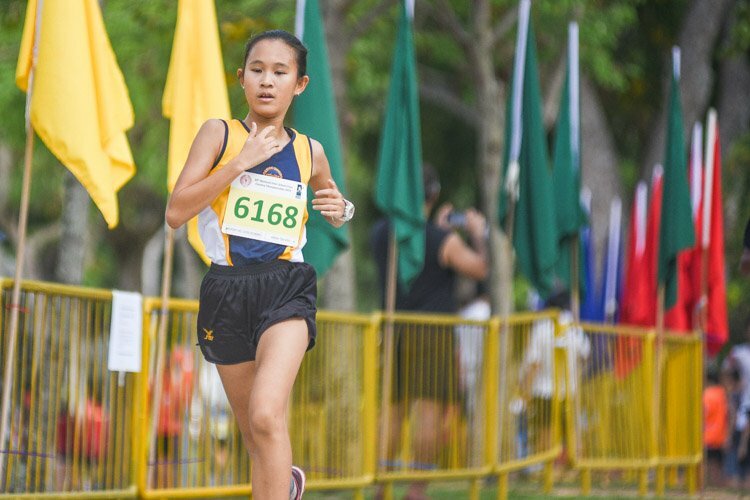 “We were losing (early in the first half), we needed to score more, I didn’t give up, I kept trying, we all kept trying to achieve the next goal and then we got it,” said the 13-year-old. And that goal came in fortuitous circumstances. Coasting after their initial lead, Bendemeer allowed SJI’s skipper Dylan Choo (SJI #7) to ghost in from the left flank to send a dangerous cross deep into the box. Under pressure and facing the goal, Joseph Lewis Manchester (BDM #5) attempted to clear the cross. But the 14-year-old defender only ended up putting it past his own goalkeeper as he held his head in disbelief. 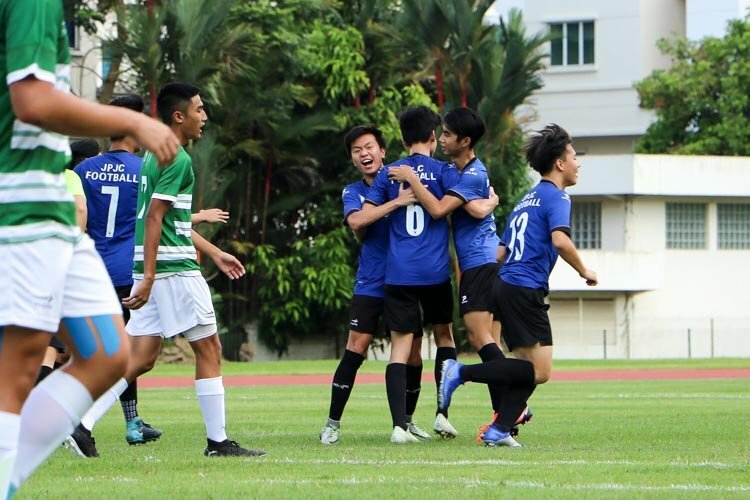 SJI began to pick up momentum but could not edge ahead as both sides entered the break level at 1-1. 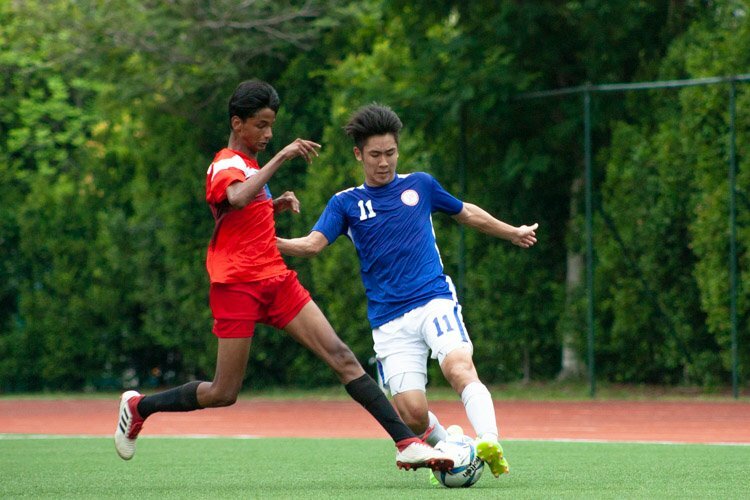 The second half was dominated by SJI who launched wave after wave of attacks but the Bendemeer defence held firm. 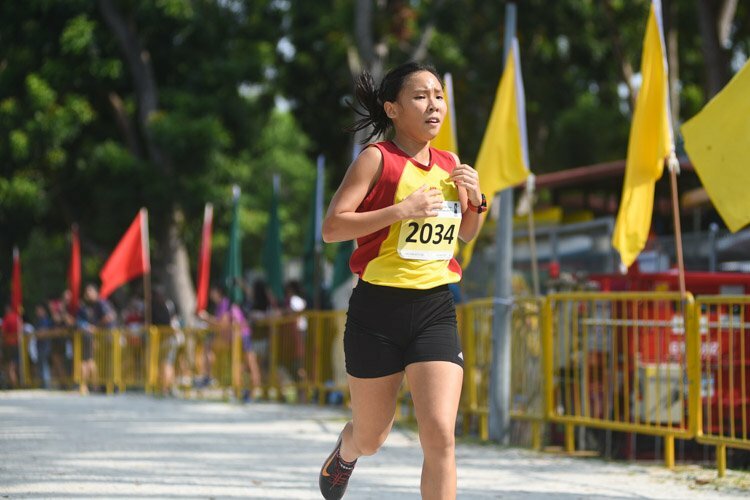 Bendemeer had a golden chance to reclaim their lead in the 45th minute when Hazrin managed to latch on a sharp cross from the left. 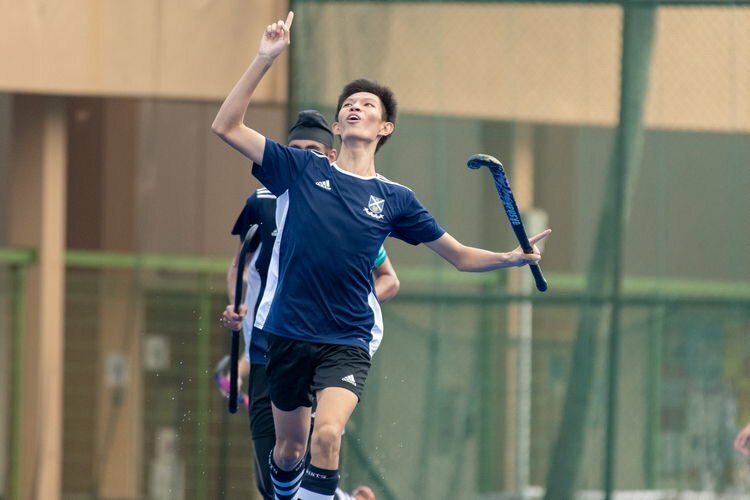 Reaching the ball first and having beaten the goalkeeper, Hazrin could not convert the chance as he shot into the side netting before collapsing to the ground in despair. That miss prove costly as seven minutes later SJI finally broke Bendemeer’s resistance. Collecting a through ball from midfield, Naufal coolly placed his shot beyond B Garv Singh (BDM #9) to send the SJI supporters wild. Dylan (SJI #7) would turn provider again for the final goal. 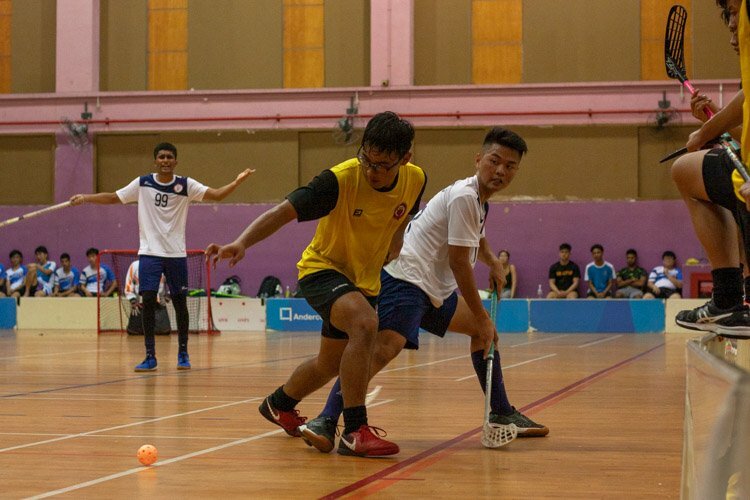 The SJI captain shrugged off a challenge by Xavier Chem (BDM #4) before sending a pinpoint lob towards Naufal who headed in the winning goal with only three minutes of regular time left. 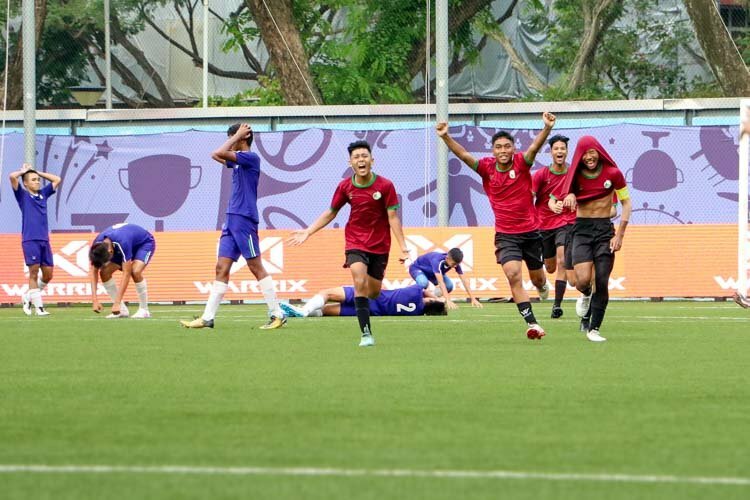 SJI’s coach Kadir Yahya, who was watching from the stands, said the character development of his charges was more important than the result. 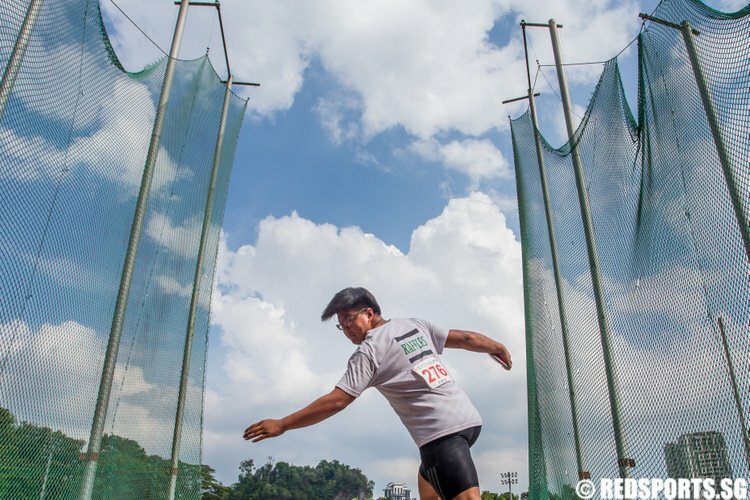 “You see I never sit on the bench, I never give instructions, I never shout at the boys, I just let them play but what’s important is about character and values,” said the 50-year-old coach, who has been with SJI for seven years. For Bendemeer’s coach Richard Bok, who is the most successful coach in S.League history, his boys did well to get into the final. 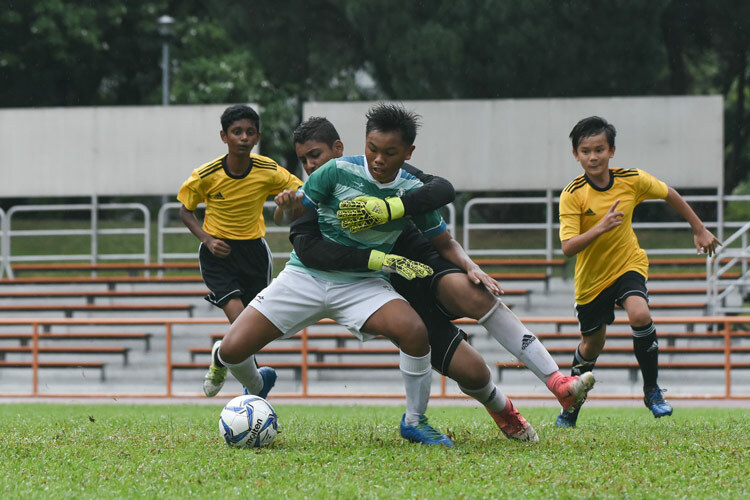 “I think we didn’t cope with (some of SJI’s midfielders and strikers) but that’s the learning curve for these young boys,” said the 49-year-old coach, who took over just last November. “In terms of organisation and our style of play, we need to do something and improve on that if we want to go far in the nationals,” he added.